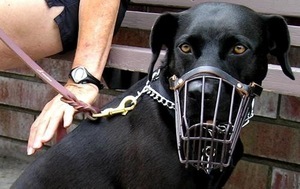 Each year, more than 4.7 million people are the victims of dog bites, and over 800,000 require serious medical attention. Those at the highest risk are children between the ages of 5 and 9, and there are an average of a dozen deaths annually. Sadly, these incidents are largely preventable through the responsible ownership and proper training of dogs, according to the American Veterinary Medical Association, (AVMA). Part of the problem is the belief that only so-called “aggressive” breeds of dogs are likely to attack and bite a person. In fact, there is little scientific evidence to support that claim, and even the most loveable appearing dogs may actually be the ones to attack. The bottom line is that whether it is a pit bull or a poodle, safety and caution remain the rule when one is near a dog of any kind. Florida personal injury lawyers are vigilant in cautioning people who may be at risk of serious dog bites, and urge the use of some preventative measures to ensure their safety. Since children are most often the victims of dog bite attacks, it is recommended you should NEVER leave an infant or young child alone or unsupervised around dogs. Kids need to be taught how to properly behave around not only strange dogs, but their own pets as well. Sudden movements, disturbing a dog that is sleeping, caring for their pups or eating can result in startling the animal, and triggering its natural protective mode. Other tips include never running past a strange dog, or attempting to pet it while reaching through or over a fence. Dogs are naturally inquisitive, and will approach humans to initially determine whether they pose a threat. Even though their tail may be wagging and the dog appears friendly, it is advised that you remain still while the dog investigates you by sniffing your scent. Should a dog approaches you in an aggressive or threatening manner, do not panic. Yelling or sudden movement will only serve to further upset the dog. Remain calm, do not make eye contact and either stay still or attempt to back away slowly. Do NOT turn and run. The contraction of rabies is extremely rare in dog bite incidents, although a veterinarian should immediately check the dog involved in an attack for an anti-rabies prophylaxis, if possible. Recently, and 18-month old Cape Coral toddler was seriously attacked by her own family pet, and is currently undergoing extensive reconstructive and rehabilitative procedures. Everyone from the child’s parents, to neighbors who had come in contact with the family’s Siberian Husky, stated the dog had never exhibited aggressive behaviors or otherwise acted in a threatening manner. This tragically illustrates how little is actually known about just what could provoke even the most gentle and loving family pet. There are laws on the books to help reduce the incidents of people being attacked by an aggressive dog. According to Section 13 of the Lee County Ordinance 9-20, “It shall be unlawful for any person owning or having possession, charge, custody or control of any animal, to permit the animal to stray, run, go or roam at-large in or upon any public street, sidewalk, school grounds, in the area of school vehicles, beaches, parks or on the private property of others without the consent of the owner of such property”. But even with these existing covenants, many irresponsible dog owners continue to ignore the laws, and allow their dogs to roam free.